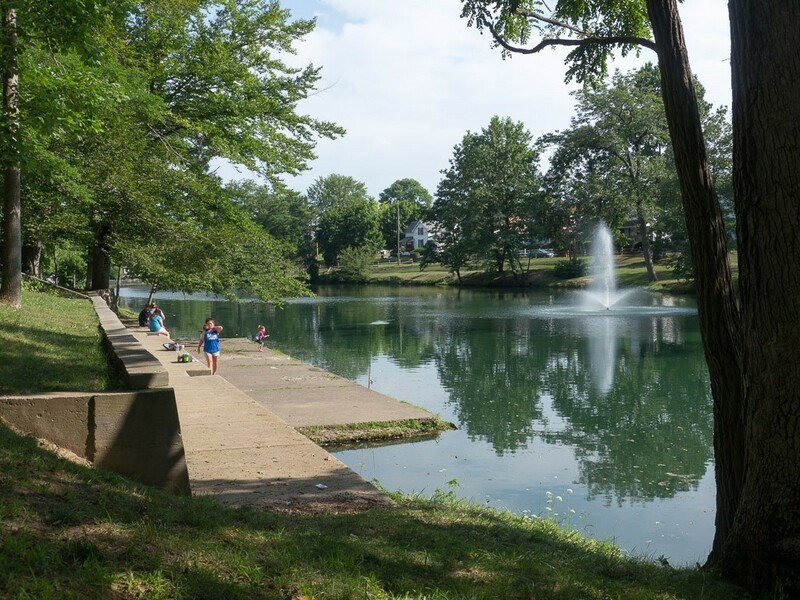 ﻿ Epworth Park - Ohio. Find It Here. Epworth Park, or the "Garden of Oaks" was established in 1870 as a Methodist Camp Ground, a place for spiritual fellowship, instruction, and renewal.The Camp Meetings were immediately successful, and the year 1875 the weekend crowds arriving by horse-drawn wagons and trains often numbered 10,000 to 15,000. Along with the popularity and success of Camp Meetings came the need for meeting accommodations, and housing for the attendees. 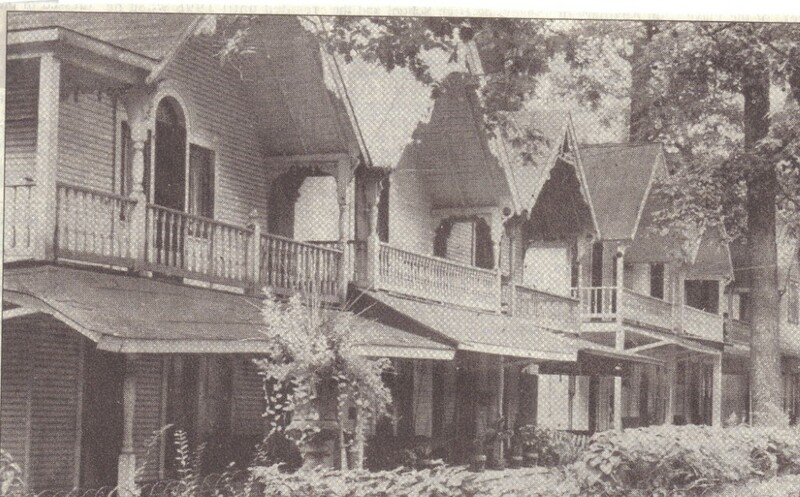 The cottages were built between 1870 and 1900, by people from nearby towns, as a weekend retreat from city life.In the early 1900's, the Camp Meetings were replaced by the Chautauqua movement, a huge, national movement which began at the Methodist retreat in Lake Chautauqua, New York. The Chautauqua assemblies were grand affairs, attracting the most famous actors, musicians, and lecturers of the time. The Chautauqua movement reached its peak in the mid 1920's, but by the 1950's it was replaced by new, more modern forms of entertainment. 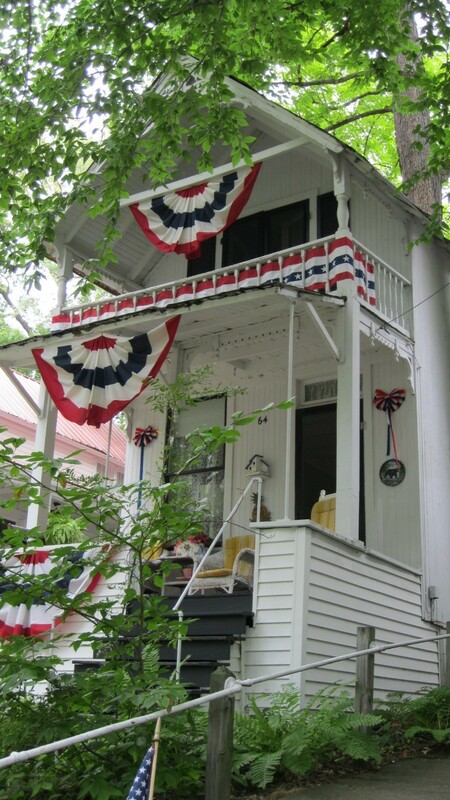 Today, the park celebrates the Chautauqua Homecoming during the second full weekend in July. Concerts are also held throughout the summer in the open-air, covered auditorium.The park continues to instill the peace and serenity which offers an escape from the fast-paced lifestyle that we know today. 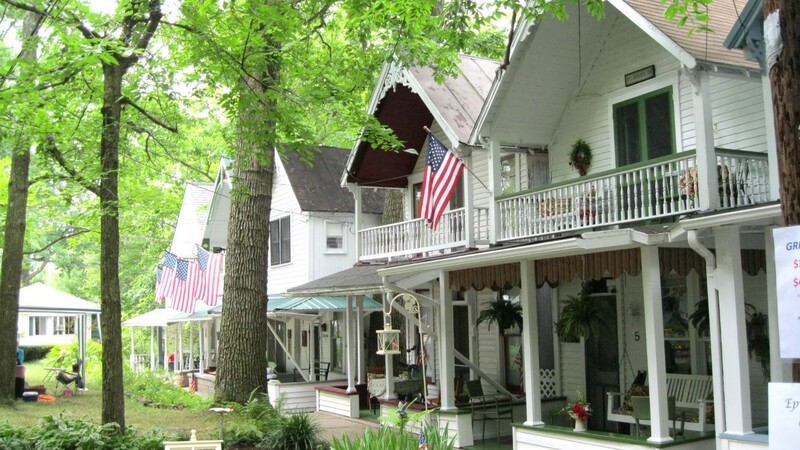 Nestled among the grove of majestic oak trees are 61, privately owned, Victorian cottages that invite you to walk in the footsteps for our ancestors, and to experience the happiness of days gone by.